From stunning metallic output to batch personalization capabilities, Xerox’s latest graphic communications innovations connect the physical and digital to give print providers the tools to set themselves apart from their competition. 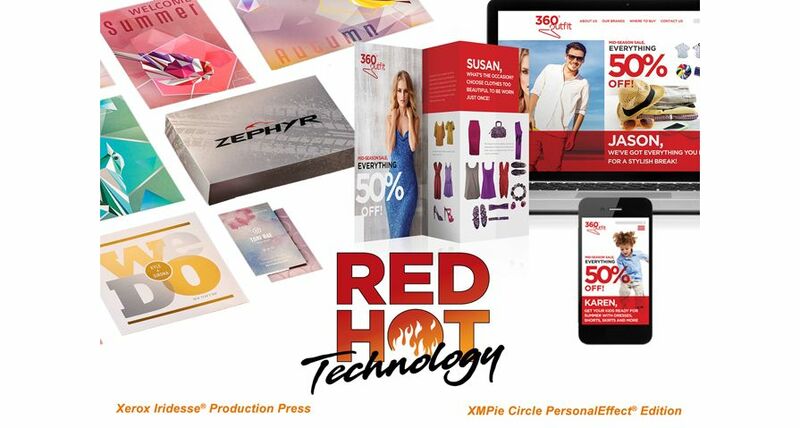 These innovations – including the Xerox Iridesse Production Pressand XMPie Circle PersonalEffect Edition – head to PRINT 18 as RED HOT Technology honorees, receiving special recognition from the Association for Print Technologies as “must see” attractions at the show. Xerox Iridesse Production Press with Exclusive Color FLX Technology – the press has a unique six-toner-station configuration that combines four-color printing with up to two specialty dry inks including gold, silver or clear, that give customers the flexibility to deliver eye-catching metallic results, keeping clients coming back. Xerox Iridesse Production Press Augmented Reality Demonstrations – a new way for customers to experience both the key press technologies and virtual “press in a room” on-site in their facilities. Xerox FreeFlow Core Iridesse Accelerator – Xerox is automating the preparation process for print jobs with pre-built workflows in FreeFlow Core that allow print providers to take an existing print job and automatically change elements to gold or silver to add visual enhancement. Customized Envelope Feeder and Conveyor for the Xerox Versant Family of Presses – an affordable innovation that simplifies envelope production by ensuring continuous, uninterrupted printing and unloading. Supply Concepts of Fenton, Mo., is already seeing the advantages of Iridesse’s unique embellishment capabilities. XMPie Circle PersonalEffect Edition – with this software, print providers and marketers can unite digital and print and automate the deployment of every stage of an omnichannel campaign. XMPie Adobe Sign Integration – allows customers to add automated electronic signature workflows to their personalized omnichannel campaigns without disrupting creativity or efficiency. XMPie StoreFlow and MyVirtualCSR Integration – XMPie users can now connect their StoreFlow storefronts with any industry-leading print management information system, allowing for workflow optimization, tighter control of print costs and real-time status updates. Also on display at the Xerox booth is another RED HOT Technology recognition. The Avanti Slingshot Integration with XMPie StoreFlow Inventory Level allows XMPie’s StoreFlow web-to-print software to update inventory statuses automatically, enabling print providers to help their clients monitor levels of stock and demand directly on the application. Many AlphaGraphics franchisees are gaining a competitive edge in the market using XMPie Circle to create versatile marketing campaigns. 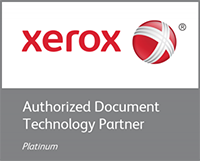 These winning technologies will be on display at Xerox booth #1621 at PRINT 18 Sept. 30 – Oct. 2 in Chicago.